For those not down with the liturgical calendar Ascension Day is traditionally celebrated on a Thursday, forty days after Easter Sunday. Then 10 days after Ascension Day is Pentecost when the disciples were the first to be en fuego. As James pointed out earlier this week Ascension Day and the story which inspires it challenges the claims of any person to read the Bible literally. 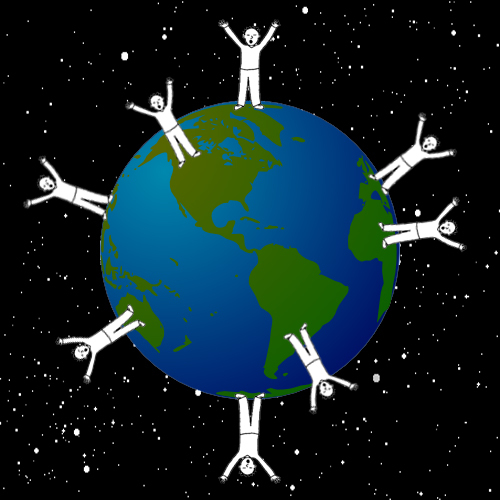 However, as we all now know, heaven is not ‘up’, and if everyone on earth were to be raptured ‘up’ to heaven they would go in a variety of different directions in our solar system as we are on a planet orbiting the sun, while rotating at 23.5 degrees.Which one of these persons would fly ‘up’ to heaven? So according to the story, astronaut Jesus flies his cloud up, and I assume we are to believe that he no longer needs oxygen in his resurrected body and that he is impervious to the vacuum of space. But where would Jesus be traveling to if we know that it’s not just a short trip ‘up’ to get to heaven? Our galaxy is 100,000 light years across, so that means if traveling at the speed of light “We now know that, if [Jesus] began ascending two thousand years ago, he would not yet have left the Milky Way (unless he attained warp speed). ~ Keith Ward (The Big Questions in Science and Religion p.107, via James McGrath]. I see no reason to think the events did not appear in the manner in which they are spoken, though we may know it could not ultimately be as they conceived it. I’m not entirely sure what you mean by this Jeremiah. For the ancients they may have believed that clouds had mass and density and therefore could be the chariots of different divinities but I’m not quite sure how Jesus would ride his cloud chariot regardless of how the authors of the NT conceived that, especially as he reached elevations where oxygen ceased to exist and certainly where there is no heaven. 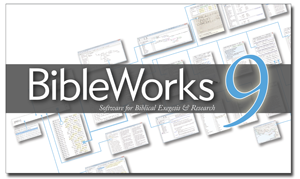 So what I’m ultimately saying, and as I said in the post, I am talking about the material realm, and sort of offhandedly fundamental claims to read the Bible literally–as in read Genesis literally. Yes there may be metaphorical interpretations or metaphysical speculations but neither of those give satisfactory answers in the material realm. I simply meant that if Jesus ascended into the clouds we know that he did not continue on into space so to speak, but that does not mean it did not happen as visually described. Frankly, if one accepts the resurrection part, I don’t get quibbling over the ascension. If he didn’t continue ‘up’ then where did he go? Magically transported to another dimension? What I’m saying is that this sort of answer would require metaphysical speculation unprovable in the material realm and is very hard to read literally–Jesus rode a cloud to a heaven up there–it’s about reading literally. Doesn’t resurrection require “metaphysical speculation unprovable in the material realm?” Regardless, your point is not particularly objectionable in regards to “literal” reading of the text (depending of course on what is meant by literal). I don’t really disagree with you but there is a difference between methodological naturalism and philosophical speculation that way too many Christians do not understand. 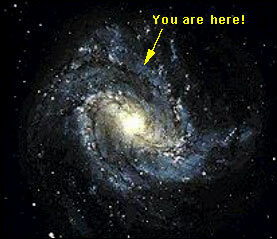 I think it’s pretty obvious that God just made our universe appear to be really large to fool the non-believers. Just like when He put the dinosaur bones in the ground. AND I once saw Goku from Dragonball riding on a cloud. I would say Japanimation is at least as valid a source as the Denver Airport Murals. OR Jesus was just leaving to go visit all the Aliens/Nephilim. But in seriousness, there’s probably around zero parts of the stories about Jesus life and actions that one could read “literally” and provide proof for in the material realm. Perhaps the writer just interpreted the events of Jesus final visit as an ascension. Like in all the ninja movies when they throw that little smoke bomb and disappear. That would be a pretty sweet way for Jesus to leave for heaven, and the writer to feel he saw a cloud. I know that from now on I am definitely going with the Ninja interpretation… maybe something about Chuck Norris too. I need to work it out. It seems that you’re saying that a literal reading of the text requires one to conclude that Jesus rose up in the sky to go to Heaven, which is somewhere in a sky. Since we can demonstrate empirically that Heaven is not in the sky, we cannot take this story literally. I realize that I’m oversimplifying, but my degree is in math, not religion or philosophy. I would pose the following question: given the ancient view of the world that you outline, how would a risen Christ best communicate to his disciples that he is returning to Heaven (or whatever you call his point of origin)? I can imagine a few options. For example, he could sink into the Earth, but that might be sending the wrong message. Even if he’s shouting at the top of his lungs that everything is just ducky, its hard to overcome the visual image of him returning to the underworld. Since the ancient world conceived of Heaven as being above, the logical thing to do would be to go up. Great post on the ascension and “Astronaut Jesus”. I just posted on the same issue recently (http://theskepticalmagician.wordpress.com/2011/08/20/astronaut-jesus/) and it looks like we’ve come to pretty much the same conclusion. I think the story of the ascension is one of the greatest evidences against the equally mythical resurrection. I don’t see any reason to say that there was no actual lift off from the ground into the sky. I could say the physical ascension was use for a metaphorical purpose. IE: the demonstration of the ascension of a king to his throne. In this case the king of kings to his throne above all nations. And then inter-dimensional travel to the spiritual. Why would an omnipotent being who knew he wouldn’t be closing things out for thousands of years, and knowing the scientific advances we would make, and knowing the difficulties these advances and discoveries would present, choose a metaphorical ascension? The idea that it is metaphorical is not anything we find in the text, and Jewish thought was that heaven was in the sky (see tower of Babel in OT). I agree. You’ve convinced me the ascension accounts are metaphorical. Which means the resurrection accounts are, too – after all, we know that dead people don’t physically come back to life in new bodies, nor walk through walls, etc., with their flesh and bones (unless they’re David Copperfield). So, Jesus didn’t really rise from the dead. The Christian “faith” is simply a philosophical proposition. A nice one. A comforting one. But ultimately a human conception. So, I guess the question is why you waste your own and our time on a myth and a fairytale, instead of writing about something real like astronomy or geology? I don’t know why atheists spend so much time trying to convince themselves and others why they shouldn’t believe in the Bible. A plain reading of the Bible will convince any intelligent person of that. As for those who are foolish enough to believe in things like ascensions to heaven and bodily resurrections and 6-day creations, let them continue in their folly. If one wants to spend all one’s time educating the foolish, one will spend all one’s life on a futile enterprise. Build a boat and sail the seas. Play music. Climb to the top of Mount Everest. Photo-shoot big game in Africa. Get and live a life. Who said that Jesus “flew” up? Is that what the scripture (Acts 1:9) says? No, the scripture says Jesus was lifted up/taken up. The Greek word there for “taken up” is “epairō.” It is important to note the details in the text and observe that Jesus did not “fly” or propel Himself up, but He was lifted/taken up by another source. When we/the church are “caught up”(1 Th. 4:17), that doesn’t mean that we will “fly,” it means we will be seized/snatched/carried off by force. Hence, Jesus being “lifted,” or the saints being “caught up” is by a force outside ourselves. I’m not sure what you mean by “as we all now know, heaven is not ‘up’.” Your topic itself is called “Ascension Day.” Does the word ascension not imply an upward action? Scripture clearly states that the Heavens are above the Earth (Isaiah 55:9, Psalm 103:11). AND to be clear, NOT EVERYONE will be raptured up unfortunately. And again, WE WILL NOT FLY UP, but we will be “caught up”/seized. Who is to say that our glorified bodies will need oxygen? God created everything in 6 days!!! 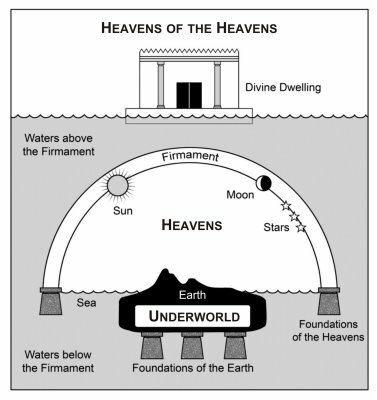 That included the Earth, the things under it, and the things above it (heavens). Therefore, ascension to the sky/Heaven by God’s power is not based on the laws of gravity and “light years of travel” through space. God Himself created gravity and all the things that govern creation, but He is not ruled or subject to these laws. He is sovereign OVER them. Also, the apostle Paul in 2 Cor. 12:2 says that he was “caught up” to the third heavens. Does that mean it took him light years to get there? Obviously not since he speaks of that being 14 years earlier. So, yes, ascension did happen and it happened LITERALLY. However, it did not happen based of the defining laws that govern creation (such as gravity, space and time), but by God who created all and is above all things, including the the laws that govern creation. Issa~The Sky–and Heaven « An Alchemist's Journey….